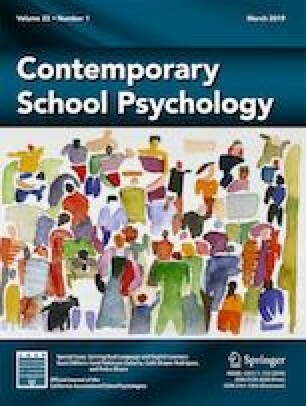 This study examined school psychologists’ perceptions and acceptability of a state-mandated response to intervention (RtI) model. The purpose of this study was to examine the role school psychologists play in the RtI process as well as investigate factors influencing school psychologists’ involvement in RtI. A survey was disseminated through snowball sampling to school psychologists to identify the impact of RtI on school psychologists’ roles as well as district preparedness. A principal component analysis identified four clear survey components. Results from survey participants (n = 80) showed that most school psychologists felt prepared to implement RtI, but did not believe their school would be able to implement RtI with fidelity. Additionally, school psychologists working in schools already using RtI procedures felt more comfortable and confident with RtI than schools not already using RtI. The current study suggests that mandatory state-wide RtI implementation can be beneficial, but more training for teachers and administrators is needed. Informed consent was obtained for all participants included in the study.